Cover Color: Brown Size: F4 Page: 36 pages 20pcs/pack ..
Cover Color: Blue Size: F4 Page: 36 pages 20pcs/pack .. 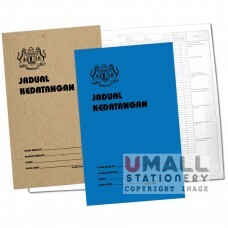 Size: 34.5 x 22.5 cm Page: 120 pgs 10pcs/pack .. Size: 4" x 5" Sheet: 100's 10pcs/pack ..